Thank you for taking the time to review Steam in the Garden ’s contributor guidelines. 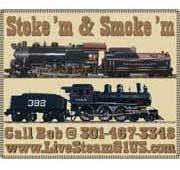 Steam in the Garden — both the printed magazine and the web site — is based on reader-contributed works and without unsolicited articles and photographs, we would have no magazine. 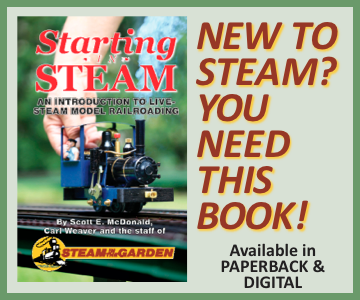 Our goal in publishing Steam in the Garden is to further the hobby of small-scale live steaming and we define that to be locomotives and rolling stock that run on 32mm or 45mm track and that are propelled only by steam. 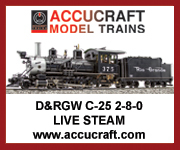 This can therefore take in modeling scales ranging in size from about 1:13.7 to 1:32. 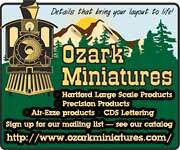 We are not a magazine of “narrow-gauge” or “standard-gauge” railroads, but of all sizes and scales that can be run on 1¼-inch or 1¾-inch gauge track. 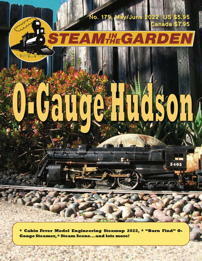 Steam in the Garden desires articles that will make readers enthusiastic about our hobby. We have found that the best article is the first-person project-building story, whether kit- or scratch-builds. 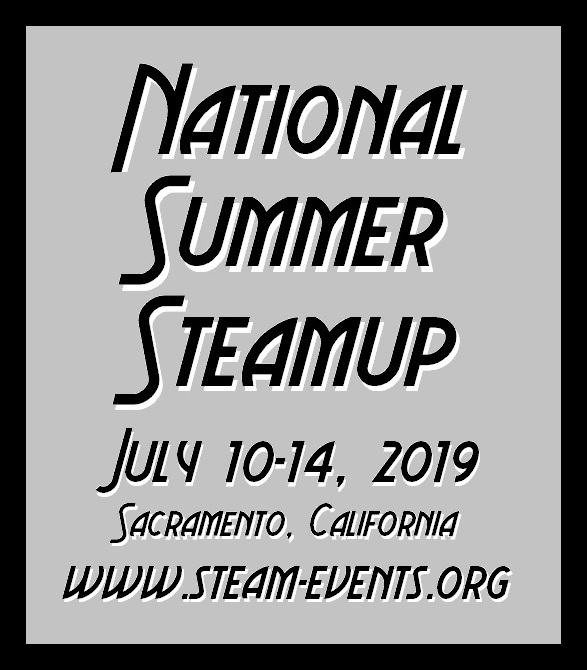 Other good article topics include how-to guides on modifying and improving manufactured locomotives; portable or stationary layout building stories, and coverage of steam-related events, including the large steamups held in Diamondhead, Miss., and Sacramento, Calif., as well as backyard events attended by only a handful. We will also publish articles about “prototype” — full-scale — locomotives or railroads, as long as they pertain to existing or potential models. A great Steam in the Garden article is one in which the reader is drawn into the mind of the writer, bringing understanding as to how the writer achieved their goal and conveying the writer’s enthusiasm for the project. 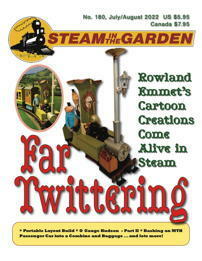 Many people are hesitant to submit to Steam in the Garden because they are concerned about their writing skills. Please don’t worry about how poorly you might think you write. You’re probably a better writer than you know, but regardless of your writing experience, your article will be in the hands of skilled, professional editors who have worked with amateur and non-professional writers for more than 35 years. Even the best writers need an editor and it is the goal of Steam in the Garden to make you look as good as possible. If you’re writing a how-to article, please don’t attempt to write the text into a layout, where you might have a phrase such as, “And here’s what my completed widget looked like:” Writing and layout are two separate functions. Take notes on your process, make photos as you go and write and submit the article and photos. That’s enough work; don’t try to do the editor’s job too. Length: A typical article is around 2000 words — maybe 1500 or maybe 2500 — which would be published across four or five pages, depending on art and/or photography. We have space for both shorter and longer pieces, but please query the editor in advance. Fact checking: We do not provide fact-checking services; writers are responsible for knowing their topic and for having done adequate research to be able to write an article. 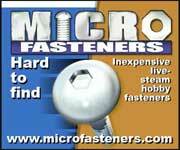 Your article will be edited for sense, style (we use the Associated Press Stylebook ), grammar, syntax and spelling. Of special note is the spelling of names; please be certain you have spelled the names of individuals and/or companies in your article correctly. Writers find it embarrassing to see once the magazine is printed that they have spelled Jon Jhones’ name as “John Jones” (don’t assume you know a spelling — check it out). Drawings: Any drawings done with computer-assisted design (CAD — AutoCAD, Solidworks, etc.) software should be sent in DXF format. These usually need to be manipulated for line weight and other technical reasons before they can be reproduced in the magazine. Drawings done in Adobe Illustrator should be down-saved to the CS3 format. Drawings done on paper should be scanned and sent as a PDF, GIF or JPEG format file; these will be redrawn in Adobe Illustrator to make them publishable. All redrawn and altered digital drawings are submitted to the author for approval before going to press. Bylines: Writers are expected to use their given names; no pseudonyms allowed. Biography: Please include with your article a 90-100 word biography that explains where you live and how you’re connected to small-scale live steaming. we also need a nice portrait photo as well. Please don’t send us an article you have submitted to another publication unless you have had that article returned or rejected (no simultaneous submissions, please). Anticipate that we will acknowledge the receipt of an article or a query within a few days of its arrival (sometimes this takes a week), but that a full response may take weeks or months for us. Editing Steam in the Garden is a part-time job and sometimes life gets in the way of good correspondence practices. Once we accept an article, we may end up “holding” it for a number of months (it could be as long as a year); sometimes we are seeking a companion article to fill out a themed section, while other times we will have so many articles in front of yours that it will take a while for your turn to come up. Please be patient. Please be aware that Steam in the Garden has six editorial deadlines per year: Feb. 15, April 15, June 15, Aug. 15, Oct. 15 and Dec. 10. The production process runs for about four weeks following those deadlines; it’s much easier to get our attention on Feb. 10 than it is on March 10. While some photos reproduced in the magazine are black-and-white and all the photos on the web site are normal web resolution, we request that all photography submitted to the magazine be RGB (or sRGB) in high resolution. This means that JPEG files must be between 1.5- and 3-megabytes each (sized at least 300 dots-per-inch and 8¾-inches wide). Most modern digital cameras allow for plenty of resolution for our color full-page needs; many don’t have the out-of-the-box settings at that high of resolution. If your camera has the capability to place a date on the image, please turn this function off. It takes the focus off of the subject and invariably it will appear in a location that will obscure an important part of the subject or creates cropping issues. If you want to shoot for us, learn how to set your camera’s resolution to its highest setting. Whether submitted via email, CD or thumb drive, please provide full caption material: identify the people (make certain names are spelled correctly) in a picture, explain where and when the picture was made; explain what the photo illustrates (and please get the names and makers of the locomotives). When making photos, please shoot in both horizontal (landscape) and vertical (portrait) orientations — having photos in mixture of formats helps with layout. Please note: when making a “beauty” shot of a front of a locomotive, make two: one facing left and one facing right (we like the engines to “run off” the page, not into the gutter). If you believe a photo needs annotations (overlaid type and arrows), please provide as a Photoshop PSD file in layers or please send a blank version of the photo as well. Please refrain from the allure of enhancing your photographs with a photo-manipulation program such as Photoshop or GIMP. The rule-of-thumb is to perform no enhancements you would not have be able to do in a darkroom with an enlarger and/or chemistry. Of special note is the addition of steam or smoke to photos that didn’t have them when made — if there is steam or smoke in a photo and you’d like to enhance it, add no more than 10 percent.